Are you suﬀering with loose dentures? 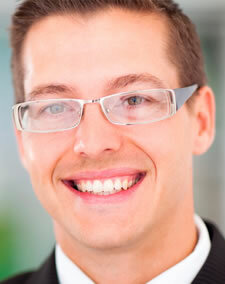 Have you been told that you are not a candidate for dental implants to secure your dentures? With 69 percent of adults between the ages of 35 and 44 missing at least one of their natural teeth, you are not alone. Of those having lost all of their teeth, approximately 15 percent seek dentures each year. If you are one of such individuals, Dr. Zoe Huang has a permanent solution for you! All-on-4™ dental implants oﬀer advanced technology that gives patients with bone loss the opportunity to experience the stability implant supported dentures provide. Dr. Huang strategically places four dental implants in the areas where you have the best bone support. After placing the implants, a temporary denture will be secured in place. Once the implants have healed completely, usually within three to six months, permanent dentures can be attached. You never have to go without your teeth and will walk out of the oﬃce with your new smile. With All-on-4™ dental implants, you will have stable dentures that allow you to eat a variety of foods. You will not have to cut down on your nutritional needs by following a restrictive diet. Even if you have some bone loss, All-on-4™ dental implants can often be placed without the need for bone graft surgery. Recovery time is quick, as most of our patients are back to their regular routines the next day. Another beneﬁt is the ease of cleaning your implant supported dentures – they can be snapped out for easy, thorough cleaning. Boost your self-conﬁdence with secure, permanent dentures. Are All-On-4® Dental Implants Right For You? If you have loose dentures or are considering getting dentures, then All-on-4™ dental implants may be the perfect solution for you. Even if you have previously been told that you have too much bone loss to receive implant supported permanent dentures, the All-on-4™ technique can still be a viable option. Schedule your consultation with Dr. Huang at our Dublin oﬃce to receive more information on All-on-4™ dental implants for secure, permanent dentures.